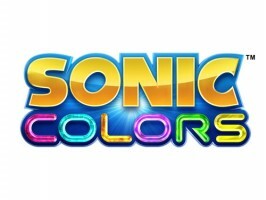 Estimates are out for the European sales of Sonic Colors last week, courtesy of VGChartz.com. Unlike previous weeks, these estimates, which are unofficial, show a fair bit of deviation between both Wii and DS editions–one going up, the other going down. For the Wii, the website estimates over 45,000 copies of the game were sold last week in EMEAA territories. That’s not only a nearly 15 percent increase week to week, it’s also comparable to the current sales intensity in North America. The DS edition tells a different story. From nearly 40,000 estimated sold two weeks ago, only a hair above 33,000 copies were sold last week. That is a decline of nearly 17 percent, and with that, it’s no wonder the game fell off the top 40 individual charts in the UK. Nevertheless, these are still very robust sales if they hold, and with one more week to go before Christmas in the record books, there remains a chance these figures can go up. We’ll let you know for sure next week.